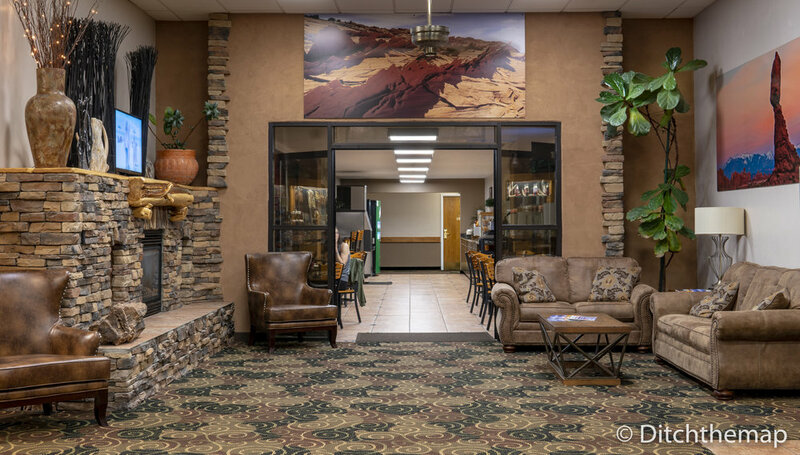 We chose to make the small town of Monticello, Utah our home-base for exploring Arches and Canyonlands National Parks. We opted for this quiet town in lieu of heavily touristed Moab. Monticello is essentially what Moab was like 25 years ago; it’s full of solitude, uninterrupted mountain landscapes and quaint mom-and-pop shops. 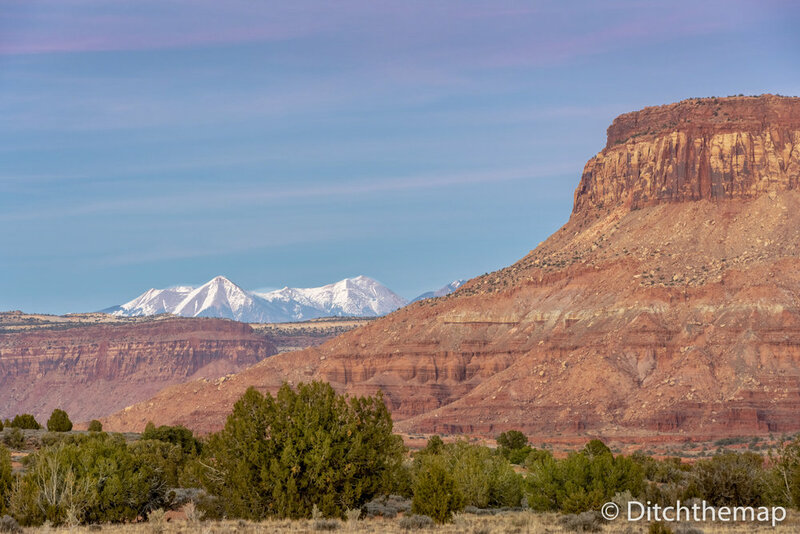 Additionally, rooms in Monticello can be found for about half the price as in Moab and this little community offers a reprieve from tour buses. Another bonus is that Monticello is centrally located within the 4 corners region of southern Utah. It’s ideal location allows for easy access to countless parks and monuments. You could even explore a different park each day of your stay. 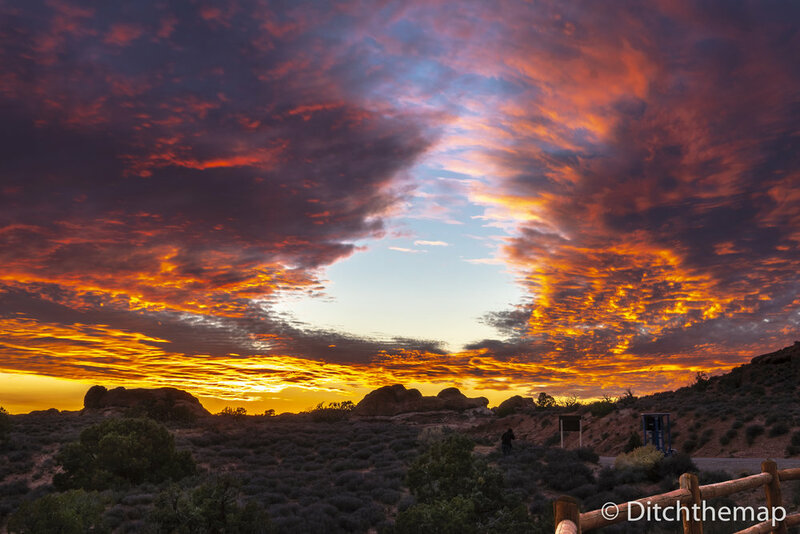 Monticello is in driving distance to tons of natural wonders including Canyonlands National Park, Arches National Park, Mesa Verde National Park, Bears Ears Monument, Moab, Newspaper Rock National Monument, and Hovenweep National Monument—just to name a few. In Monticello we scored a lovely and affordable room at The Inn at the Canyons. It is easily the finest accommodation available in the small neighborhood and to our delight included a beautiful indoor heated pool and hot tub. Our feet, sore from long hikes thoroughly enjoyed the evening soaks in the hot tub. 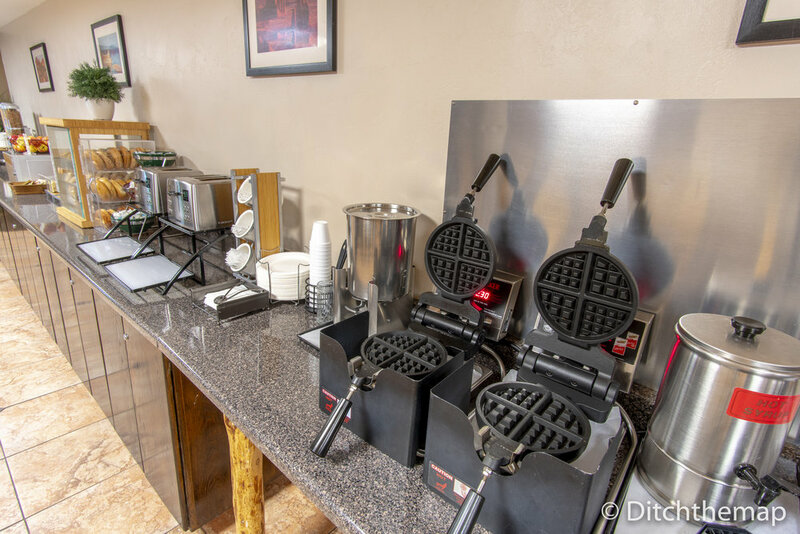 In addition to luxurious soaks in the evening we fueled up for our hikes with the continental buffet breakfast each morning. Complimentary coffee and tea are also available all day. Our room was spacious and faced the mountains. We enjoyed retiring to the Inn in the evening and found solace in the balmy pool room atrium. One evening we even had a pizza delivered to our room, too tired to venture back out. The Inn at the Canyons made for a comfortable home-base to explore Utah’s abundant beauty. Arches National Park, named for its outstanding collection of naturally formed sandstone arches, is located in southeastern Utah. 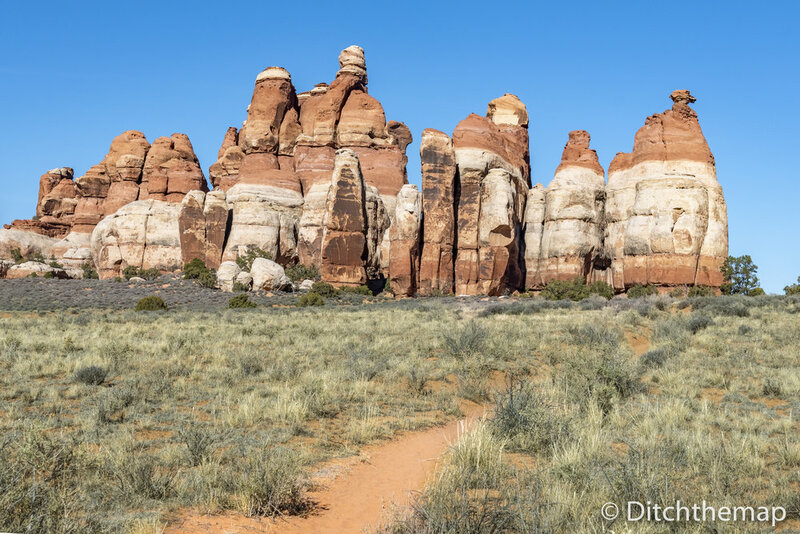 The vast red landscape unfolds as you drive through the park, revealing itself through visible roadside formations like petrified dunes, balancing rocks and of course, like its namesake suggests, arches. Once out of the car one has an entirely new appreciation for the textures and feel of the rocks. 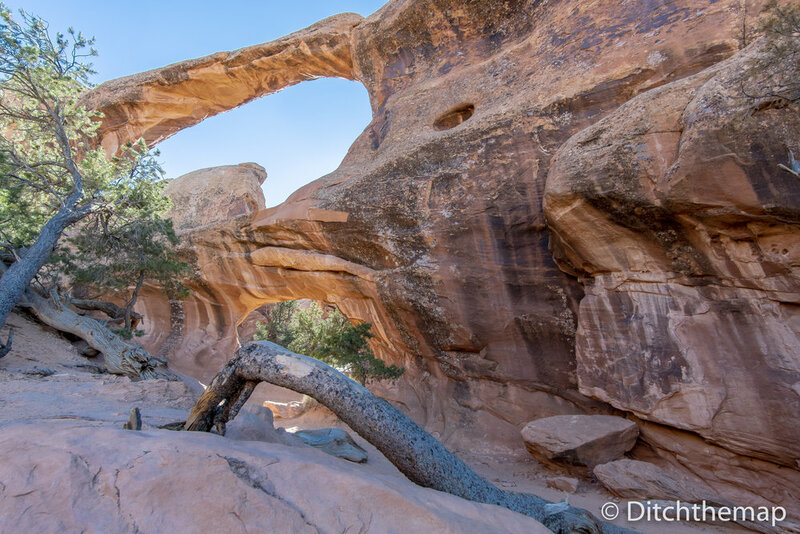 Many hikes include up close and personal experiences navigating through and over these red sandstone rocks and canyons. On our first day in Arches National Park, only having time for a short hike, we chose the 3-mile round trip Delicate Arch trail. 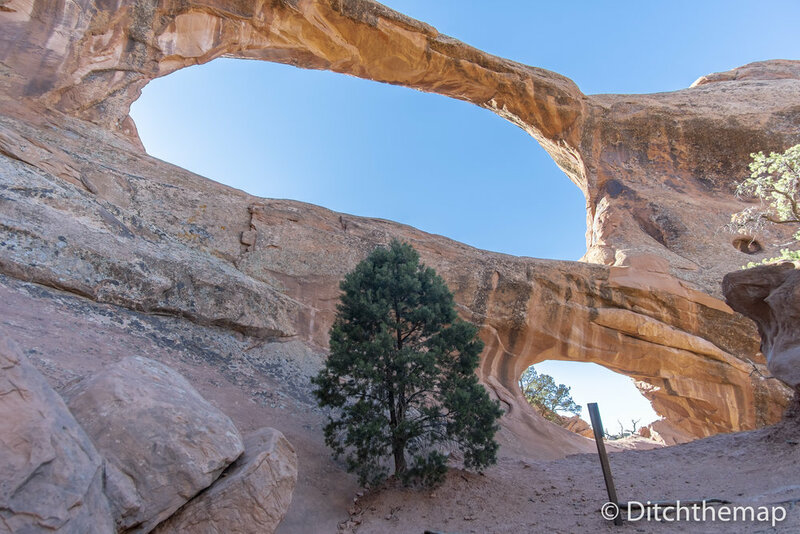 This is the most iconic of the arches in the park, which is so picturesque it even graces the State of Utah’s license plate. The hike was well trafficked but the pay off is absolutely worth it. 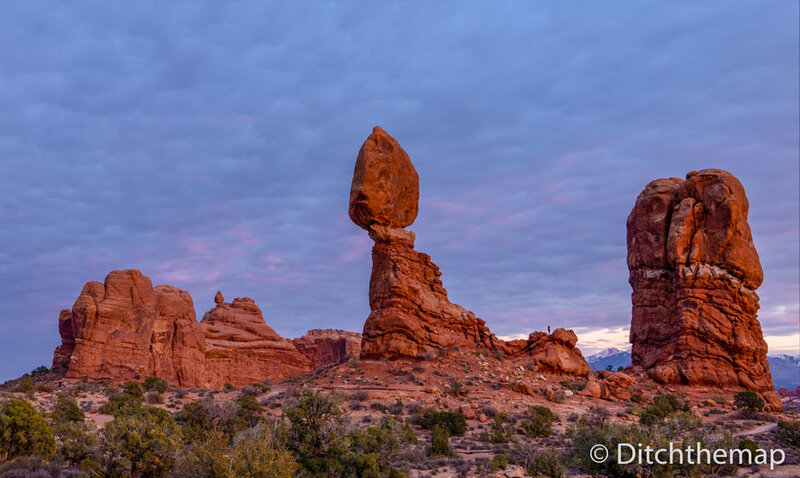 The Delicate Arch towers over the landscape simultaneously teetering on the side of a cliff. On our second day in the park we hiked the longer Devil’s Garden Loop. This trail is considered “primitive” as it requires scaling slanted red rocks and using detective skills to track down trail-marking cairns. 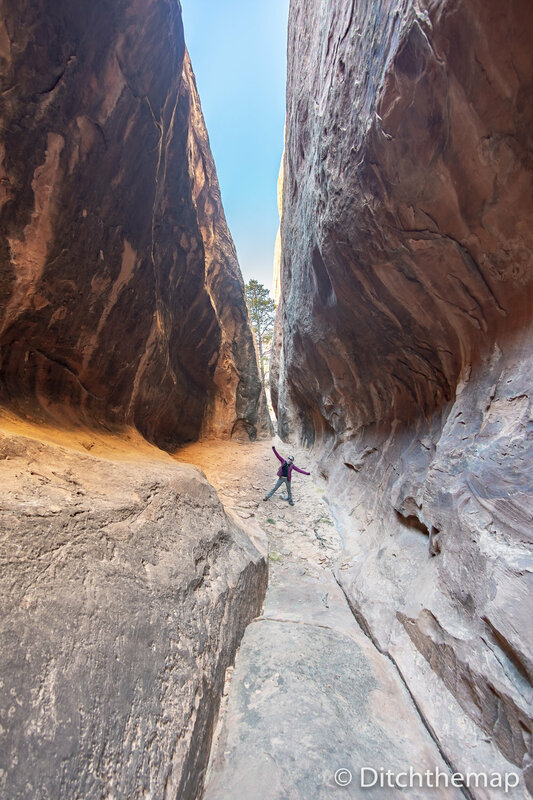 Some agility is necessary as well as adequate hiking shoes to grip the uneven sandstone. That said, the hike was a blast! It was everything we hoped for in a hike; challenging with some scrambling along with stunning views. Canyonlands, Utah’s largest National park is divided into three districts, Island in the Sky, The Needles, and The Maze. Each district is unique though all are remote and rugged making Canyonlands an alluring destination for us. 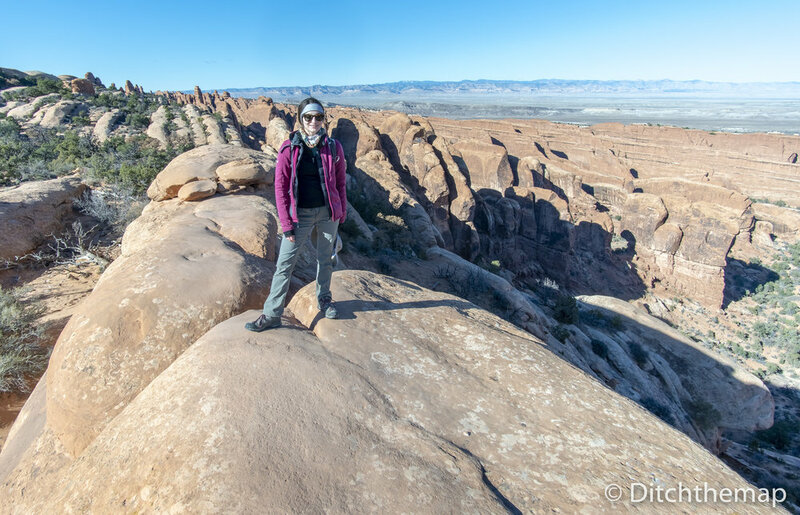 We hiked The Needles District, named for the pinnacle rock formations, and found ourselves largely alone in the strange and fascinating landscape. It felt like we had the whole place to ourselves to climb and explore. 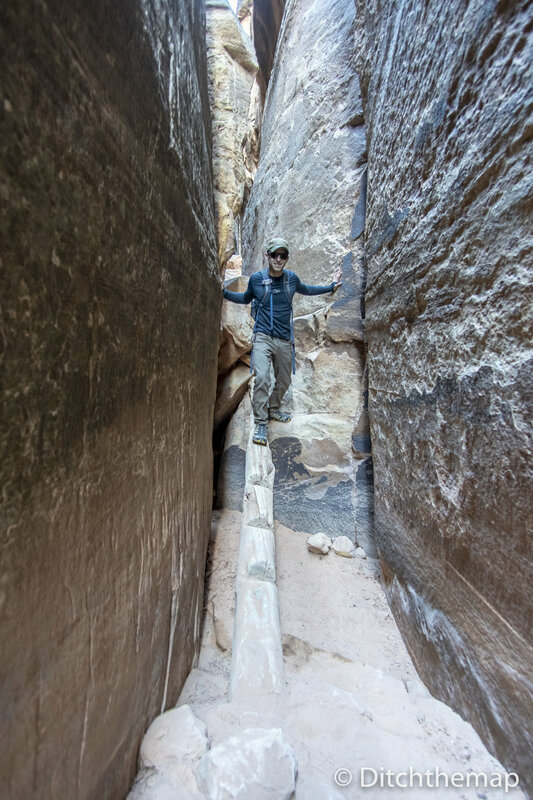 We roamed through the fins and channeled tomb raider as we navigated through narrow slot canyons, just large enough for us to pass through single-file. The diversity of the terrain was thrilling and the hike kept us engaged as we followed cairns to climb through and over rocks and in out and of canyons, each turn was more exciting than the last. It was a true backcountry experience. 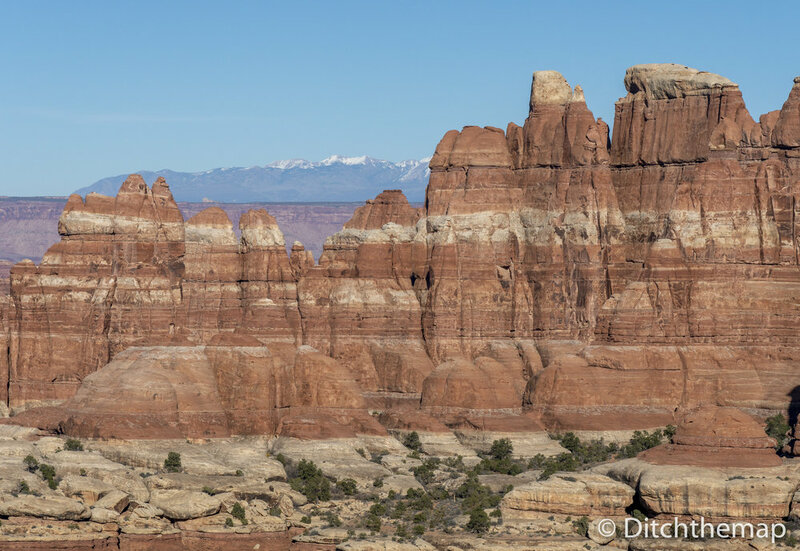 Although Arches National Park beats Canyonlands on the number of annual visitors make sure not to miss it during your next stay in southeastern Utah.